I'm headed home this weekend for my mom's birthday. I hope you have a great one too. 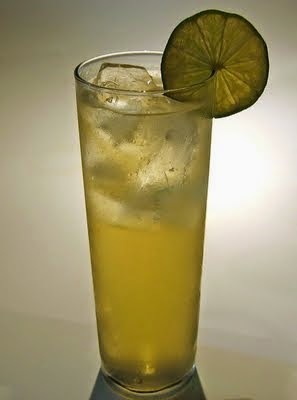 Stir all but ginger beer with ice cubes and pour into a 10 oz glass. Fill with ginger beer. Lime garnish. Pour the broth into a saucepan and bring it to a boil over medium-high heat. Reduce the heat so the broth is at a simmer. In a heavy-bottomed skillet, melt 1 tablespoon of the butter. Add the pancetta and cook until it has crisped and rendered its fat. Remove with a slotted spoon and set aside. Melt the remaining butter into the pan, and then add the shallot. Cook until tender, then stir in the garlic just until fragrant, about 30 seconds. Stir in the rice, coating with the butter and toasting the kernels until they are translucent, about 2 minutes. Add the wine to the pan. 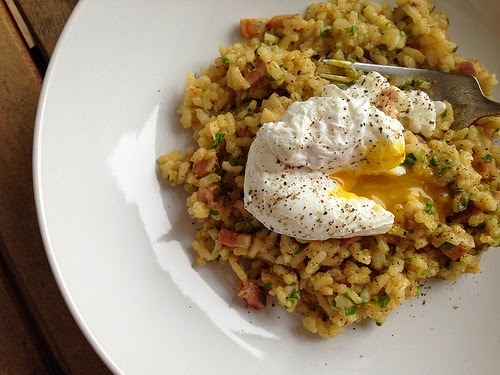 Scrape up any browned bits and allow nearly all of the wine to be absorbed by the risotto. Add a ladle-full of warm chicken broth to the rice. Stir frequently and do not add another ladle of broth until the first is almost completely absorbed. Continue to stir frequently, adding broth by the ladle, until the rice is creamy and has just a slight bite in the center when you try it. This will take about 25 minutes. Off the heat, stir in the cheese and pancetta. Season to taste with salt and pepper and serve immediately with poached eggs on top. 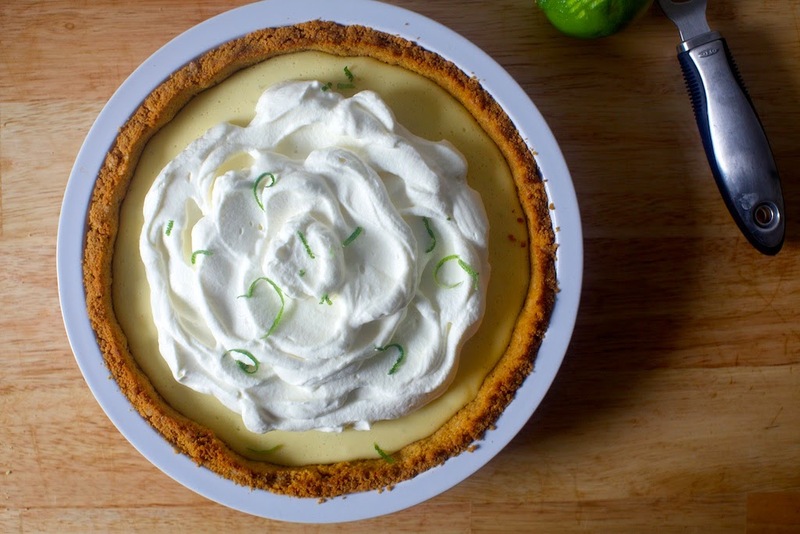 Key lime pie keeps in fridge for a week, though certainly not around here.